WIB Tyre Killer offers protection by disabling any intruding vehicle by destroying wheel rims and tyres. With low maintenance required and availability of wide range of choices of different standard widths. 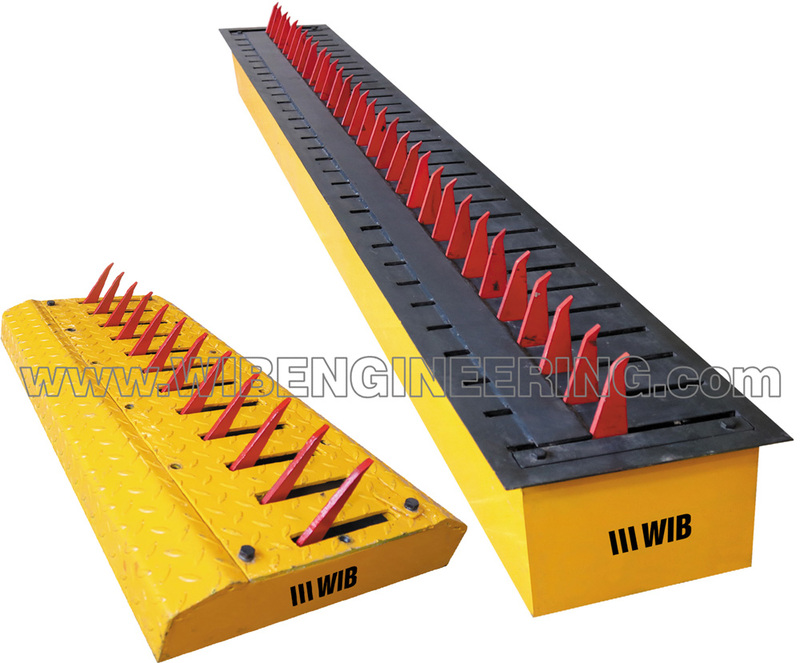 WIB Tyre Killers are extremely heavy duty, built entirely of steel with components from steel plate. The product provides high security for sensitive areas against forced and unauthorized entry or exit of motor vehicles whereby tyres are destroyed when forced entry or escape is attempted. Solid killer spikes in 60o killing position. Robust below ground casing with concrete anchors. Shadow installation depth (200 mm). Carry load up to 50 Ton.